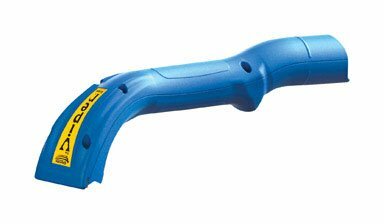 Introducing a revolutionary new design from Oneida Air Systems This hand scraper tool conveniently attaches to your wetdry shop vacuum allowing you to collect waste at the source. Harmful debris is sucked directly into the vacuum via the the hose attachment significantly speeding up your workflow and keeping the work environment safe and clean. Works with 1.5 and 1.25 in. vacuum hose and is ideal for lead abatement boat refinishingrepair hardwood floor installationrefinishing and removing paint stucco etc. Includes a reversible tungsten steel blade for long lasting durability. Dimension - 6 x 3 x 11 in.. Item weight - 1 lbs. If you have any questions about this product by Oneida Air Systems, contact us by completing and submitting the form below. If you are looking for a specif part number, please include it with your message.